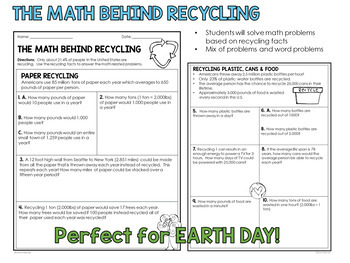 Celebrate Earth day with these engaging math worksheets all about recycling! 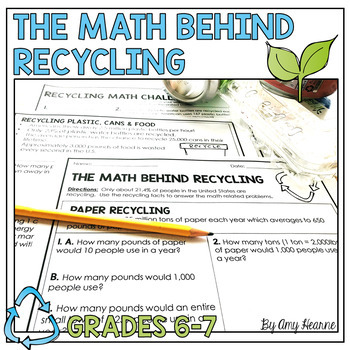 Not only will your students be practicing a variety of math concepts, but they will also love learning staggering facts about recycling. 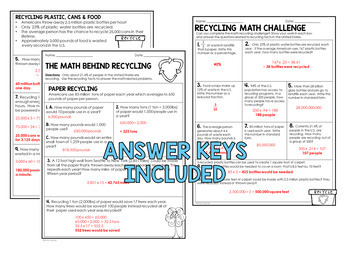 With this worksheet set your students will find out facts about how much is actually recycled in the United States. 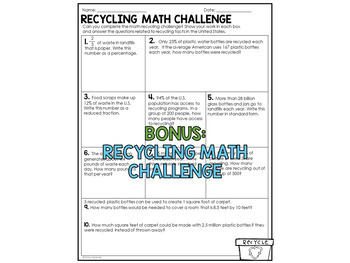 You can use these as a right away activity, during math centers/stations, for homework and more! Multiplying and Dividing large number and more! Click here to follow me for updates on new products that are always 50% off for the first 24 hours.